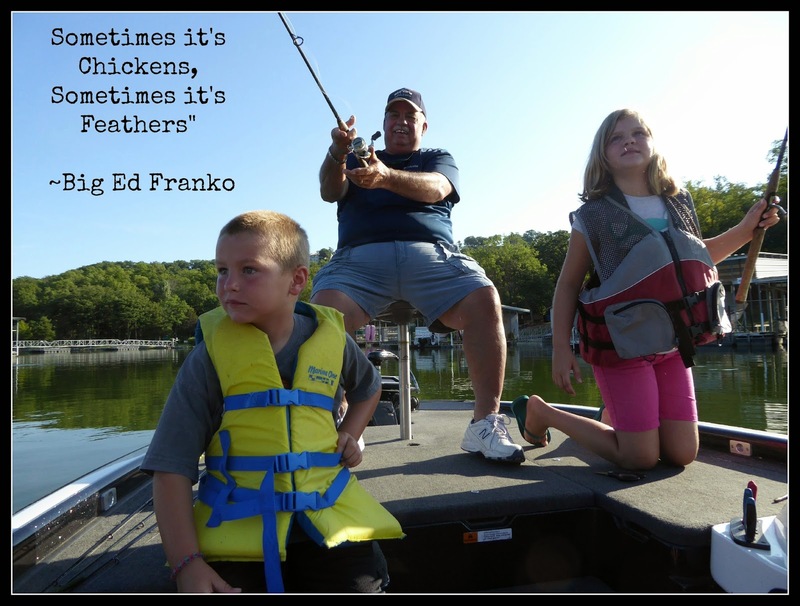 There is always that moment in life that you think nothing will top this - I had that moment while on a boat in the middle of the lake with Ed Franko of Big Ed's Guide Service. We were sent to fish with Big Ed as part of a sponsored trip (I always have to disclose that), but fishing with Big Ed turned into more than just a story - it turned into a life altering event. 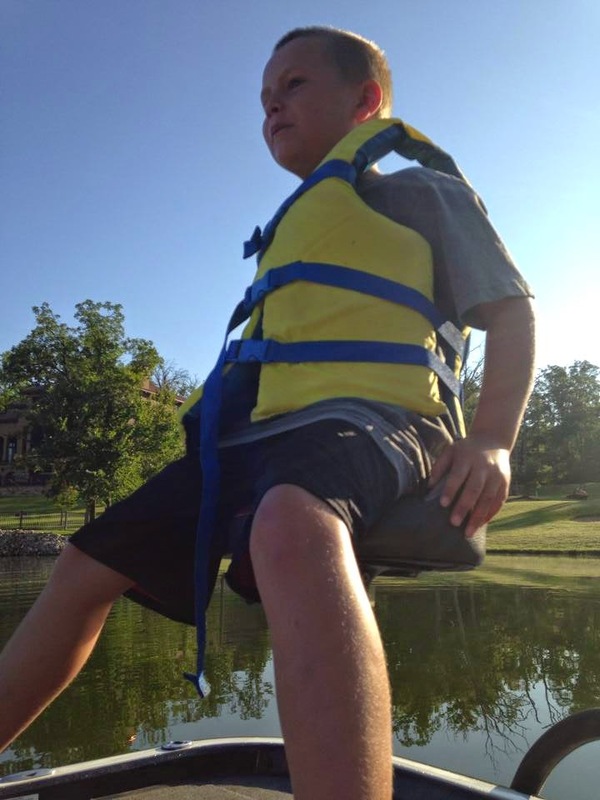 In the middle of the lake watching my 6 year old son grin ear to ear while Big Ed raced (not really that fast) across the lake I realized I need to do more of this with my kids - this being more outdoor adventures! We were suppose to be catching fish, but mid trip I confessed to Big Ed, I could care a less about catching fish - I cared more about watching them interact and have fun with this crazy, yet very lovable man. I envy his future grandchildren, because everyone needs a Grandpa like Big Ed. Big Ed taught D-man why we don't spin his chair in circle over and over - or mess with the handle that raises it up and down. I am still pondering how the man who claimed he was very picky about his boat - tolerated my very energetic 6 year old - but he did and did it with a smile. We did catch some fish, nothing prize winning, but we caught some fish! Every time we would reel something in, Big Ed would say "Sometimes it's Chickens, Sometimes it's Feathers" - what chickens an feathers has to do with fishing I have yet to know! What I do know is every time he would say it, my kids would bust up laughing. We also learned some valuable lessons, and fortunately we did not throw Big Ed's pole in the water, on the bank, or anywhere else - in my eyes that was the most successful part of the trip. Lesse (my now 11 year old) officially mastered the open reel fishing pole thanks to Big Ed - he was so patient with her out on the water, and went the extra mile by letting her cast, and cast, and cast again - you get the drift, she likes casting and reeling it in! Today, six or so weeks later D-man still proudly wears his Big Ed Fishing hat, and he will quote "Sometimes it's Chickens, Sometimes it's Feathers" - must be a macho thing. Big Ed's Guide Service is located in Lake of the Ozarks, if you are wanting a true Big Ed Franko experience I suggest checking out their B&B - Bass & Baskets Bed and Breakfast - my two kids swear you will never find better cookies than the one's Big Ed's wife baked for them!